Nitpicky details, facts and figures are less interesting now, and you make decisions based on intuitive knowing rather than logical analysis. This is an excellent time to focus on your ideal vision for the future, though not so favorable for figuring out the steps it will take to get there. Planning and practicality can come later. Optimistic thinking and faith in positive outcomes characterize this transit. The Sagittarius New Moon awakens an inner need for many kinds of stimulation. Having recently completed a contemplative period, your body craves for some excitement now. You may find yourself daydreaming about travel to foreign lands, or maybe tackling a philosophical conundrum. Boredom is an issue that has your fingers tapping restlessly. What are you to do about it? There are many ways to distract yourself. Maybe a road trip is in order. Or, how about a week in the wilderness? Maybe bungee jumping? Mull over the many possibilities available to you. Pick something that is not only physically active, but offers you a learning experience as well. Think of options outside of your normal routine, even if it means something as simple as taking a different route home from work. Figure out how you can add a little spice in various areas to keep you from getting the doldrums. If physical limitations that keep you from ranging too far, look at ways to travel mentally. Workshops, seminars, and classes can usually do the trick. Books have a way of taking us away from ourselves. Keep your brain satisfied and you won’t go wrong. If you crave more adventurous fare, remember to weigh the pros and cons before leaping into action. Check out the feasibility in detail. Aim for an activity that you can look back on with pride rather than embarrassment. Uranus, the planet affiliated with revolution, caused quite a stir when it was discovered in 1781. The discovery of Uranus hailed a period of new planetary discoveries, and shattered astrology’s previous use of only the visible planets. In actuality, Uranus is visible on a very dark night, once your eyes adjust to the darkness and you know where to look, but it looks so much like a faint star that for a long time it was not identified as a planet. From Earth’s perspective, Uranus retrogrades 43% of the time each year, the most important times being stationary points when it is about to change direction and seems to be standing still. During these times, revelations and insights can come unexpectedly. After the dust settles from the initial Uranus retrograde, it’s time to make sense of what happened. The Uranus Return occurs for people at the age of eighty-four. Halfway through the cycle, the Uranus ‘opposition’ occurs around age forty-two and is usually described as a mid-life crisis, when a person feels an urgency to make some radical changes. At eighty-four, if one is healthy, then the freedom to live the remainder of one’s life beyond society’s expectations is very liberating. While Venus is in Sagittarius, and depending on how this influence affects the other planets in your chart, you’ll want your love life to be a great adventure. You need a lot of space and freedom to explore right now, and you actively seek out fun and excitement rather than passively waiting around. Your enthusiasm and adventurous spirit could make you very popular, and you may find yourself socializing with a variety of interesting folks. Curiosity is high, and you’re more open to connecting with different types of people, especially those from foreign countries and cultures. Committing to a long-term one-on-one relationship could feel stifling now. If you’re already in a partnership, this is a time when you might need more freedom to do your own thing. You can also breathe new life into your relationship by traveling or going on some kind of adventure together. You want to feel like you and your partnership are growing and expanding in new directions. During this transit you may be very idealistic, with big dreams for the future, and you long to connect with friends and lovers who share your ideals. Just beware of a tendency toward arrogance when it comes to your view of the world — make an effort to be open to other people’s ideas and perspectives. Under the influence of Mars in Aquarius, and depending on how this transit affects your birth chart, you may find yourself asserting your independence and individuality. You long to break free from other people’s expectations of you, and want to experiment with expressing more of your authentic self, taking the risk of letting your eccentricities show. You’ll probably hate being told what to do, and if you have any authority issues, they’re likely to appear now and could even get you into hot water. During the Cancer Full Moon, you can develop a warmer, more loving spirit in your home and with people you’re close to. You may feel a sense of contentment with the quality of people you have in your life. Steps you had taken during the New Moon, two weeks ago, to garner support from the people who are most important to you may begin to show. Knowing that you have a community behind you can heighten your own feelings of self-worth. Of course, how you feel about yourself shouldn’t depend on anyone, but it sure helps to know that you are loved. If you have been trying to establish a new home or improve the one you have, your efforts should reveal themselves at this time. Generosity seems to be the mood of the day. You may find yourself giving as well is receiving various baked goodies from friends. You might want to invite a couple buddies over for terrific meal made from your own hands. On the 1st, an over-optimistic perspective could have you beginning missions that you may not be able to complete. Relationships are highlighted on the 8th – – make a date with your significant other or invite a friend over for dinner. The 13th may be filled with twists and turns. After all, revolutionary Uranus goes direct in your sign. You could be overtaken with an urge to present yourself to the world in an innovative way. Today is also the New Moon in your 9th House of Vision. Take the opportunity to assess your long-term goals. Travel captures your interests on the 15th. Communication seems challenging on the 16th. Focus on getting your words to more clearly align with your desires. The Solstice on the 21st has you reflecting upon your sense of personal authority. You want and receive recognition. The Moon’s also in your sign today, making it one of your power days this month. You’re drawn to spending time with others on the 25th when your planetary ruler, assertive Mars, moves into your 11th House of Groups. The Full Moon on the 28th stirs up deep feelings related to you whether you have accomplished your career goals. Assess where you are on your path and find support to help you further achieve what you desire. As the year draws to a close on the 31st, you’re thinking about how you can gain more recognition in your chosen field in the coming year. Spend some time at home on the 3rd – – you’ll find it especially nurturing, notably during this busy holiday season. While a relationship feels intense on the 10th, be confident in your ability to communicate with a loved one. On the 12th you gain a better understanding about the lessons you are learning through a friendship. Have you wanted to untangle a rather complex situation? The New Moon on the 13th is a great day to focus on doing so. It’s especially powerful given that innovative Uranus turns direct. Watch for unexpected events to occur that provide you with valuable information. Your planetary ruler, gracious Venus, moves into your 8th House of Intimacy on the 15th and you’re feeling especially passionate. A friend surprises you on the 19th as Venus harmonizes with Uranus. Old relationship wounds surface on the 20th. Be present with them and their sting may subside more quickly than you would have imagined. The Solstice on the 21st marks a day where you’re turned towards understanding the bigger picture. If you’ve had unrealistic expectations of a friend, you may find yourself disappointed on the 22nd. You feel especially assertive on the 25th so much so that others readily notice. Be careful of heightened self-judgment around your intelligence on the 28th. It’s the Full Moon, a day known for the emergence of deep feelings. As the year draws to a close on the 31st, it’s important you pay close attention to aligning what you value with what you desire. On the 5th, you’re uncertain whether you are revealing too much. Be honest in your communications but stay within your comfort zone. You get a clear sense on the 7th how you are of service to other people and how to help them in their lives. On the 10th, your planetary ruler, messenger Mercury, moves into your 7th House of Relationships. You’re drawn to socializing with friends. 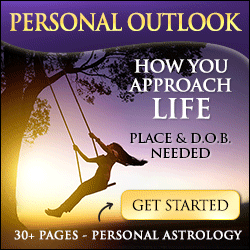 Mercury squares imaginative Neptune on the 11th – – have clear expectations of others or you may feel disillusioned. Your relationship arena is highlighted on the New Moon on the 13th. You get a fresh start in an existing partnership or a new friendship may begin. With inventive Uranus turning direct today, be aware that other people may do things you find surprising. When Uranus harmonizes with Mercury on the 14th, looking at a situation in a completely different way is rewarded. Watch what you say before you say it on the 17th. Don’t stifle your optimism – – just watch that you don’t share something you could later regret. The Solstice on the 21st marks a day where you’re turned towards discovering hidden truths. On the 25th, you’re determined to get a clearer understanding of a philosophical or religious concept. The Full Moon on the 28th stirs up deep feelings related to money. You’re inspired to become more self-reliant. As the year draws to a close on the 31st, you’re focused on how you can live a life that offers you more reward. The month starts out on a great note for you. The Moon is in your sign on the 1st – – you feel especially supported and nurtured. Touch base with family on the 8th. Conversations flow at work on the 10th. You’re tuned into your colleagues and able to come up with great problem-solving solutions. Have you felt it’s time to make a change in your approach to bettering your health and well-being? If so, the New Moon on the 13th initiates a new beginning. You’re not only inspired but may find some practical solutions. As innovative Uranus also goes direct today, it’s a day of expect the unexpected at the office. For example, it could be through a co-worker that you get a tip about a new diet or exercise program. Volunteering or being of service in your community will feel especially worthwhile on the 15th. The Solstice on the 21st marks a day when the beauty of your friendships is further revealed. On the 25th you’re determined to get a better understanding of something, even if it means digging below the surface. The Full Moon on the 28th stirs deep feelings about partnerships. Tensions mount if you sense that there is a not an even give and take. Try to find balance in your partnership while not surrendering your core needs. As the year draws to a close on the 31st, you’re looking ahead to creating even more fulfilling relationships in the coming year. You could get carried away on a flight of fancy on the 2nd when your planetary ruler, the Sun, opposes lofty Jupiter. Instead, be optimistic but also realistic, especially when it comes to group creative projects. You shine brightly on the 3rd and 4th when the Moon is in your sign. Spend some time at home on the 10th as it should be especially nurturing. You feel in your element on the New Moon on the 13th. Set intentions to inspire your life with more romance and fun. Since innovative Uranus also turns direct today, don’t be surprised if you have an about-face related to a long-term goal. Plan a date – – whether with a friend or your significant other – – on the 15th. The Solstice on the 21st marks a day where you’re focused on feeling more rewarded from your work. On the 25th, you’re determined to better understand another person’s point of view. It may not be easy, and it may offer up some surprises, but it can yield incredible awareness as well. You’re worried about how to have more vitality on the Full Moon on the 28th. Remember that stress plays a role in physical health. Control issues come to the surface on the 30th when the Sun unites with transformative Pluto. Connect to your inner power – – you can move mountains today. As the year draws to a close on the 31st, you’re focused on how to be of greater service to others in the coming year. The issue of creative control comes to the forefront on the 5th. You’re strongly attracted to a book or website on the 7th that ends up teaching you something you need to know. The 10th is a good day to connect with family. You may not be able to clearly understand where a friend is coming from on the 11th. Normally you could just shrug it off but for some reason it impacts you more deeply today. The New Moon on the 13th initiates a new chapter in your home life. Innovative Uranus also turns direct today. Don’t be surprised if secrets are revealed or you get unexpected insight into money matters. Your planetary ruler, messenger Mercury, harmonizes with Uranus on the 14th. Looking at a situation from a completely new perspective yields great learning. Open your mind and try on a new viewpoint – – you’ll be pleasantly surprised by the outcome. Don’t stifle your enthusiasm about a work project on the 17th – – yet be careful that your excitement doesn’t cause you to say something that could be inappropriate. The Solstice on the 21st marks a day where you feel like being playful and having fun. You’re especially determined to do something good for your health on the 25th. The Full Moon on the 28th stirs up deep feelings related to how you can maintain your individuality while also feeling part of a group. As the year draws to a close on the 31st, you’re focused on how to get more in touch with your creative side. Being recognized for your accomplishments feels really good on the 1st. The Moon is in your sign on the 8th and 9th making these two of your strong power days this month. Watch for a tendency to question your skills and talents on the 10th. Don’t lose your confidence. You get a clear view on the 12th of better ways to manage your money. Have you wanted to begin a new class or start a new book? The New Moon on the 13th offers you a great opportunity to do so. Also today with innovative Uranus going direct, you could notice your friends being more anxious or seemingly acting out of character. Spend some time at a neighborhood hangout on the 15th. Your planetary ruler, gracious Venus, harmonizes with Uranus on the 19th. If your attempts to foster greater understanding in a friendship haven’t been working, try a new approach. The Solstice on the 21st marks a day where you’re focused on sprucing up and enjoying your home. Be diligent when making plans on the 22nd so you don’t promise more than you’re really able to commit to. You’re feeling especially determined to have fun on the 25th. The Full Moon on the 28th brings up deep feelings. If your focus towards your personal and work life has not been balanced, this may be the source of the emotional stirrings. As the year draws to a close on the 31st, you’re focused on feeling more connected to your family in the coming year. On the 5th you find yourself knowing just what to say although you’re concerned that others will be put off by your honesty. Passions stir so strongly on the 10th that they could feel unsettling. If you’ve wanted to get a handle on your finances, the 13th offers you a good opportunity to do so. That’s when the New Moon is in your 2nd House of Resources. Also today as inventive Uranus goes direct, expect the unexpected at work. Find a way to show off your skills and talents on the 15th. It will really boost your confidence. On the 20th you’re tempted to display a façade of extreme exuberance as a means to cover up feelings of vulnerability. See if there’s a way to feel secure while being authentic – – you may very well learn a lot about yourself. The Solstice on the 21st marks a day where you’re focused on communicating and learning. On the 25th you’re determined to really understand how you’re feeling. The Full Moon on the 28th unleashes deep feelings about your goals and whether you’re able to achieve them. Evaluating what information you need to attain to help you on your pursuits is very worthwhile. On the 30th when your planetary ruler Pluto unites with the Sun, you’re in your element. It’s a day of transformation and powerful experiences. As the year draws to a close on the 31st you’re focused on the things you want to learn in 2013. On the 1st, you’re called to play peacemaker. The 2nd features an opposition between your planetary ruler, expansive Jupiter, and the Sun. A tendency towards being over-optimistic may cause upset in relationships. As messenger Mercury moves into your sign on the 10th, it feels natural to learn and share ideas. The 13th features a New Moon in Sagittarius. It offers you a fresh start in how you perceive the world and how you express who you are. Also today, as innovative Uranus goes direct don’t be surprised if you get unexpected bursts of creativity. When social Venus moves into your sign on the 15th, you radiate additional charm and grace. Be especially diligent with communication on the 17th or words may seem to take on a life of their own. Expressing yourself may make you feel especially vulnerable on the 20th. Don’t lose confidence in your unique skills and talents. The Solstice on the 21st marks a day when your attention is turned to finances. Watch that you don’t get pulled into holiday shopping fever on the 22nd. On the 25th you’re determined to have meaningful conversations with others. The Full Moon on the 28th stirs deep feelings as you reflect upon how self-reliant you perceive yourself to be. Knowing when to do something yourself and when it’s ok to let another help is important. As the year draws to a close on the 31st you’re focused on how to make next year even more prosperous. Spending time with a friend on the 1st is enjoyable and inspiring. Recognition feels especially good on the 8th. Your dreams carry with them great meaning on the 10th. If you feel drawn towards spending time alone on the 13th, go for it. It’s the day of the New Moon, one that is especially good for getting in touch with your core values. As innovative Uranus goes direct today, don’t be surprised if out-of-the-blue feelings surface or relatives seem to act out of character. It may be challenging to resolve your sense of duty with a desire to express yourself on the 14th. The Solstice on the 21st marks the beginning of Capricorn season – – it’s when the Sun moves into your sign. You’ll feel especially connected to who you are and radiate a sense of centered peace. On the 25th you’re determined to be resourceful and do things on your own. As the 28th is a Full Moon it may be filled with emotional ups and downs. The issue highlighted for Capricorn is how to find a balance between being true to yourself while being in a relationship. The 30th is a transformative day. With your planetary ruler Saturn in sweet sextile to the Sun, your determination and loyalty pay off in spades. You’re recognized for your diligence and hard work. As the year draws to a close on the 31st you’re focused on how to be more productive next year and achieve the things you set your mind to. Your attention is captured by relationships on the 3rd and 4th. You’re able to clearly communicate your hopes and wishes on the 10th. Have you been thinking about getting involved in a community project? If so, the New Moon on the 13th provides you with an auspicious opportunity. Your planetary ruler, inventive Uranus, also turns direct today. You’re highly energized and get out-of-the-blue insights into the best way to communicate. On the 14th you’re able to get your message across in a way that feels almost effortless. With Uranus harmonizing with social Venus on the 19th, plan to attend a cultural event that expands your knowledge. The Solstice on the 21st marks a day where your intuition is operating strongly. If you feel the desire to spend some time alone to feel more centered, by all means do so. On the 25th, assertive Mars enters your sign. And with that, you feel determined to achieve whatever it is you set your mind to. Also today, with Uranus squaring with the Sun, others could seem rather tense. It’s as if they are being pushed to change, something they are not readily comfortable doing. The Full Moon on the 28th illuminates ways you can better foster your well-being. The path to this awareness may come through deep feelings – – it may be a rather emotional day. As the year draws to a close on the 31st, you’re feeling especially connected to your willpower. You are confident that if you set your mind to something you can achieve it. Relationships hold special significance on the 6th. Your planetary ruler, poetic Neptune, squares mental Mercury on the 11th. Communication at work seems foggy. Ask as many questions as you need to get clarity while also tuning into your strong intuition. The New Moon on the 13th initiates a new chapter in your career. Consider goals you want to accomplish – – now is a good time to set your intentions for achieving them. Also today, as innovative Uranus goes direct, people shower you with unexpected compliments. Responsibility doesn’t seem like a burden on the 15th. Rather it’s something that brings you a lot of pleasure. On the 16th Neptune forms a stressful square with love planet Venus. A tendency towards idealizing something or someone appears really strong. While seeing the best is a wonderful quality, be careful so you won’t be disillusioned should reality not approach your ideals. The Solstice on the 21st marks a day where spending time with friends feels really purposeful. You’re in the groove on the 22nd as things flow and feel really easy. On the 25th, you’re determined to help others find meaning. The Full Moon on the 28th brings up feelings related to your perception of how well you fit in. Remember that being part of a group doesn’t need to be at the expense of expressing your individuality. As the year draws to a close on the 31st, you’re focused on how you can contribute even more to bettering the world in 2013.